Senckenberg scientists have discovered that the Saiga Antelope, which is currently threatened with extinction, used to be much more flexible in its habitat and food choices in the past than previously assumed. Based on carbon and nitrogen isotopes in the collagen from the antelopes' bones, the scientists compared the diets of fossil versus modern-day Saiga. In their study, recently published in the scientific journal "Quaternary Science Reviews," they reached the conclusion that today's populations are not obligatorily bound to their current habitat. This insight offers new hope for this endangered species. During the last Ice Age, Saiga Antelopes were widespread throughout the northern hemisphere and migrated across the tundra in the company of mammoths. Today, these animals with their characteristic, trunk-like noses are only found in Central Asia and Russia. "We were interested in finding out why the Saiga's habitat is so much more restricted today than during the period between 45,000 and 10,0000 years ago," explains Professor Dr. Hervé Bocherens of the Senckenberg Center for Human Evolution and Palaeoenvironment (HEP) at the University of Tübingen, and he continues, "Were the animals back then better able to adapt to various environmental conditions, or is it possible that the modern antelopes are not necessarily bound to their current habitat?" 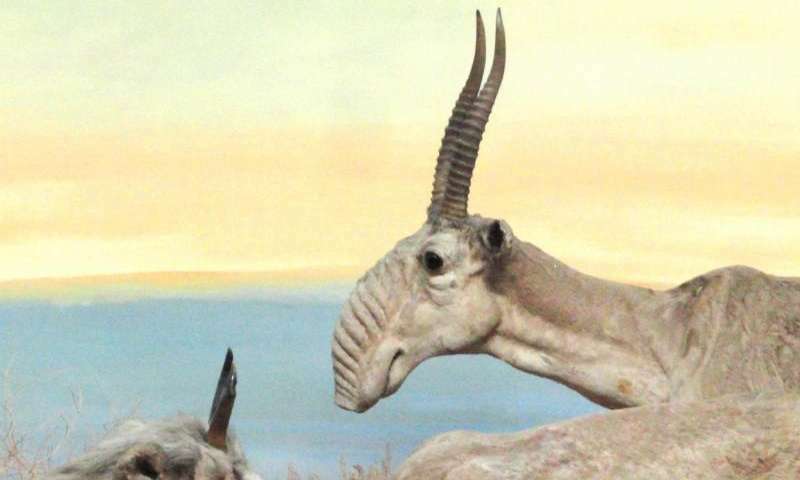 This question, which the biogeologist from Tübingen explored together with his colleague, Dr. Dorothée Drucker, and an international team, was raised against a serious background: The Saiga Antelope is threatened with extinction. Already heavily decimated by poaching, the populations are additionally threatened by recurring virus infections. Since the beginning of this year, 2,500 animals have already died in Chowd-Aimag Province in Western Mongolia – one fourth of the entire Mongolian population. "If today's Saiga Antelopes – like their Ice Age ancestors – were able to survive outside of semi-arid steppes, the danger of such an epidemic would not be nearly as grave," explains Drucker. 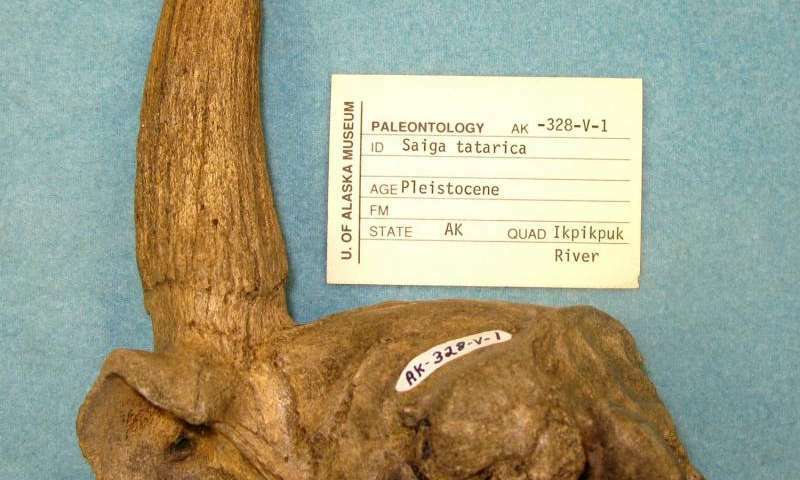 To examine this possibility, the research team compared the composition of carbon and nitrogen isotopes in the collagen from 76 fossilized and 52 recent bones and hairs of Saiga Antelopes. Collagen is an essential organic component of the tissue in bones, teeth, cartilage, tendons, ligaments and the skin. The isotope composition in the bones' collagen offers insights into the animals' feeding habits. "Contrary to what we assumed before, the diet of the Saiga during the last Ice Age was much more flexible than that of their modern-day relatives – we therefore assume that the recent Saiga Antelopes only occupy one of their potential ecological niches," explains Bocherens and offers in conclusion, "Being able to move into other, including colder, areas would offer great opportunities for the Saiga's protection. This should be taken into account when developing conservation programs."